Graduate Spotlight: Lizzie Allison, University Prep Academy, Class of 2018. 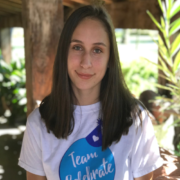 Lizzie was only 15 years old when she started her nonprofit, Team Celebrate. Her mission is to provide birthday parties for foster kids throughout the country. As you can imagine, running a nonprofit while in high school is no easy task. Not only was Lizzie pursuing her passion but she was also looking for ways to get ahead in school. Luckily, she found Visions while searching for ways to graduate early. Did you know? Visions flexible education programs allow students to define their own path. 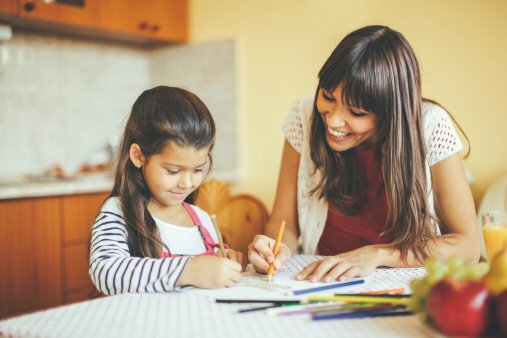 We offer funding for community college and provide a dedicated teacher to help students reach their goals. Lizzie was inspired to start Team Celebrate after performing in the play Annie. She realized how fortunate she was and it made her think of the children that weren’t so lucky. She wanted to volunteer to help those in need but found that many organizations require you to be 18. Team Celebrate was born out of her desire to create a service organization for all ages. Team Celebrate helps it’s volunteers fundraise to purchase birthday kit items to include in customized boxes. Volunteers use these funds to purchase balloons, cake mix, candles, decorations and more to include in the box that they color and decorate. Each volunteer also personalizes a card for each foster child. They recently partnered with Ticket to Dream enabling them to serve more foster youth across the country. Their goal is to celebrate 4,000 foster kids in all 50 states by the end of the year. Learn more about Team Celebrate on their website or watch their news coverage on ABC10! Lizzie has successfully completed the California High School Proficiency Examination and is going to community college full time (at only 17). She plans to transfer to UCLA, Berkeley or Stanford to study business and entrepreneurship. She’ll already be a junior in college when she transfers. I hope my story inspires other kids to be okay with not doing the normal in order to focus on something they are passionate about. A typical high school schedule didn’t allow me to focus enough time on Team Celebrate. Instead of giving up, I kept pushing until I found a way I could get through school faster and most importantly be able to dedicate more time to what I love. Have the courage to be different!